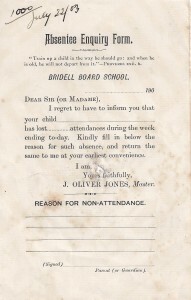 On 8th February 1892 a boy from the school was playing with a pistol when it went off, taking two fingers off his hand. He died of lock-jaw a few days later. In 1895 Mr. T. Reynolds was the headmaster. In 1902 headmaster Mr. Reynolds retired and left the district. In 1902 John Oliver Jones became the headmaster until 1932. By 2nd January 1905 some windows had been smashed here by vandals. In 1910 the school was closed for a month due to whooping cough. On 18th July 1911 Mrs. Morris of Broyan Mill gave a tea party for the children of the school and each child was given a mug commemorating the Investiture of the Prince of Wales. In January and February 1912 the temperature inside the building here was 38 degrees Fahrenheit, because coal was being hoarded in fear of a strike. In May 1913 the school was closed for a week due to an outbreak of measles. In 1915 Mima Davies became an assistant teacher here. 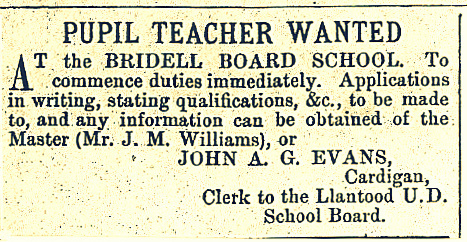 The school board had been disbanded before 1917. 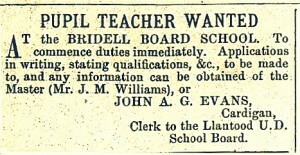 On 21st May 1926 Mrs. B. T. Lewis (formerly Mima Davies) ceased to be the assistant teacher at Bridell after 11 years. John Oliver Jones, the Master, retired in June 1932. Miss Hannah Evans was his successor. In 1934 Miss Hannah Evans resigned as head-mistress in order to get married. Mr. B. J. Lewis succeeded her as Head teacher. On 31st May 1935 Miss M. G. Peregrine retired as assistant mistress. 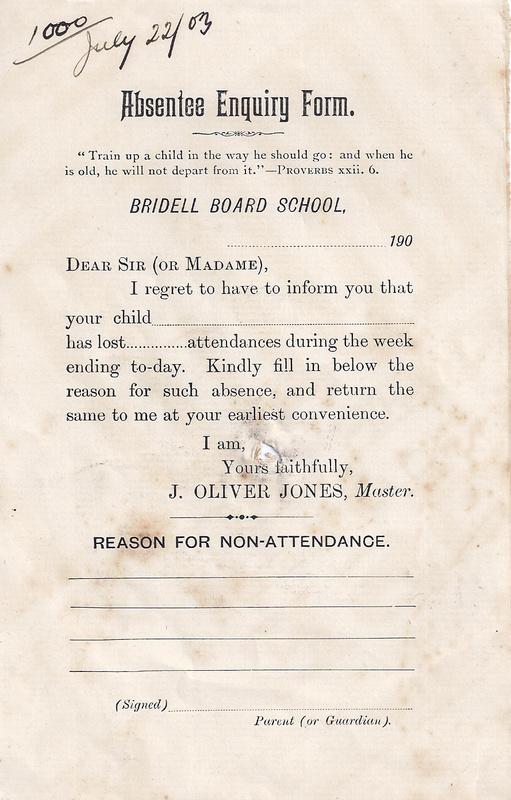 Mr. B. J. Lewis was then the headmaster. 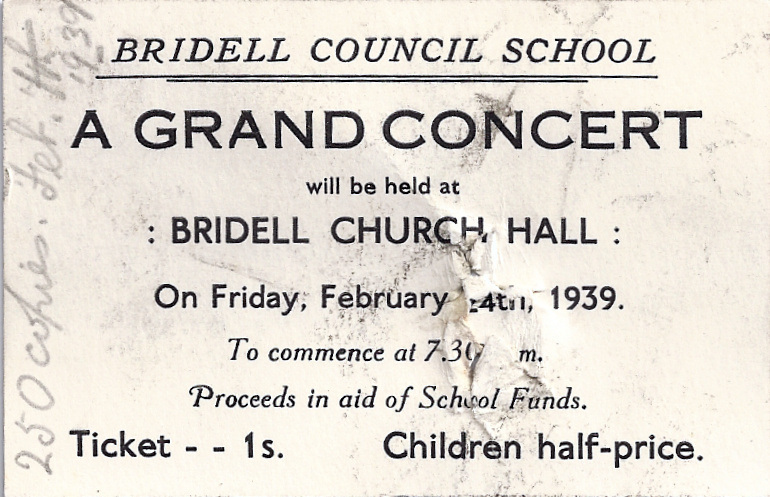 In 1935 Miss Vera L. Howells became the headmistress. In December 1948 Miss Vera Howells, headmistress, married Sam James, headmaster of Llantood School. In February 1952 Mrs. M. A. Gwynne retired after 16 years as assistant teacher here. On 11th February 1955 Mrs. Vera L. James retired after 20 years as headmistress here. Mrs. Glenys Lewis probably succeeded her that year. In November 1966 and July 1967, the school was threatened with closure. It closed on 4th April 1968 – Mrs. Glenys Lewis was the last Head Teacher. 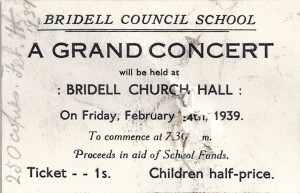 On 21st June 1968 the former school was advertised for sale. 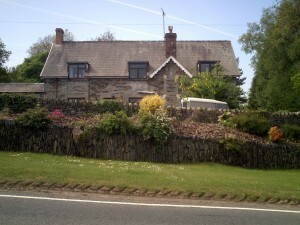 The building was then converted into a private house. Former school of 1879, altered for residential use ca1970. 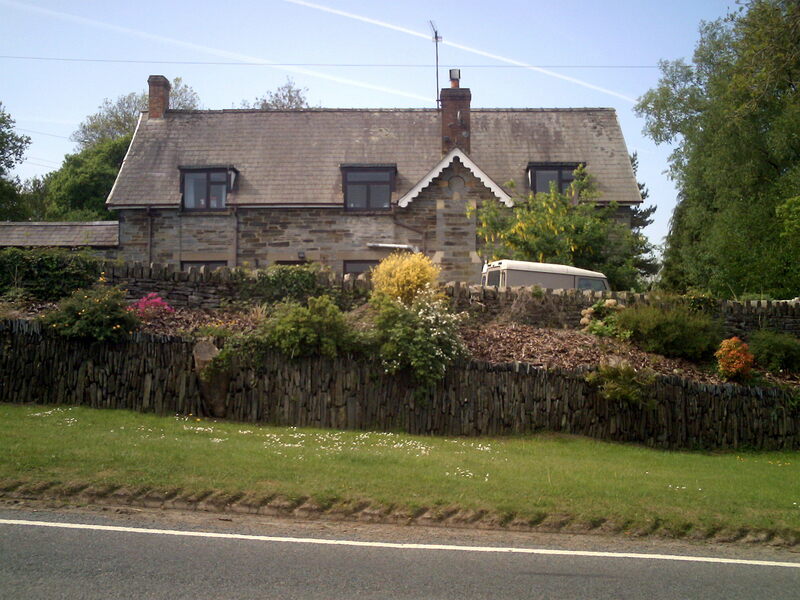 Cilgerran stone with pitched slate roof. Facade has ground floor window, door, window, then projecting stone stack and narrower window. First floor has eaves-breaking C20 flat-headed dormers with gablet to stack having wavy barge-board, with smaller red brick stack to apex. All openings in later C20 timber. Concrete lintels to ground floor openings and C20 timber door. Main roof has small red brick stack to l gable. Single story attached range to left in Cilgerran stone with slate gabled roof.